THE NORTHWOOD'S PREMIER CATERER! ADVENTURES CATERING WILL PROVIDE YOU WITH EXCELLENT FOOD, EXPERIENCED SERVICE, AND EASY PLANNING! 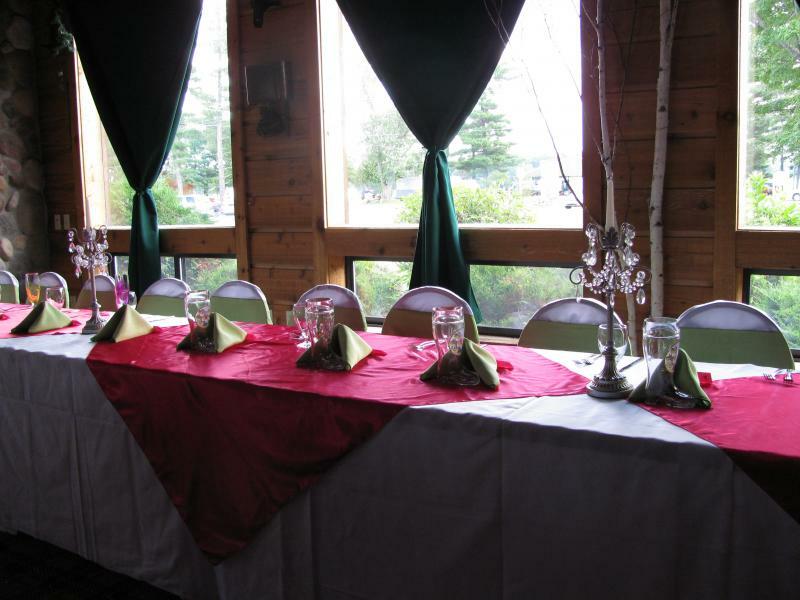 WE CATER AT THE VENUE OF YOUR CHOICE IN NORTHWESTERN WISCONSIN. WE SPECIALIZE IN FULL SERVICE CATERING AT THE LOCATION OF YOUR CHOICE. FROM EVENT CENTERS TO CABIN AND LAKESIDE, WE HAVE CATERED A VARIETY OF VENUES IN OUR FOUR COUNTY AREA. CHOOSE FROM OUR MENUS OR LET US CUSTOMIZE YOUR EVENT TO FIT YOUR IDEAS...AND BUDGET! FROM CASUAL TO FORMAL, FROM BUSINESS MEETINGS AND FUNDRAISERS TO WEDDINGS, LET ADVENTURES CATERING PROVIDE YOUR FOOD AND SERVICE. "THANK YOU FOR HELPING TO MAKE OUR WEDDING WONDERFUL! OUR GUESTS ARE STILL TALKING ABOUT HOW GREAT THE FOOD WAS!" "YOU MADE PLANNING OUR EVENT SO MUCH EASIER THAN I EXPECTED! THANK YOU AND YOUR STAFF FOR EVERYTHING!" Copyright 2009 Adventures Catering. All rights reserved.